There are a couple of issues that are of interest to members, the first is the demise of the paper part of the photo card licence, the second is an apparent rule change regarding the evidence required to retain a registration mark. Firstly: although the DVLA have sent some people letters instructing them to destroy the paper part of their licence on the eighth of June, I would strongly advise you not to do so, I am certainly keeping mine. Granted you do not need it in this country but until the system 'beds in' if abroad and for some reason you needed to unexpectedly hire a car you might have great difficulty doing so without it. Secondly: the DVLA has apparently changed their rules regarding the evidence acceptable to them for the retention of an existing registration mark. 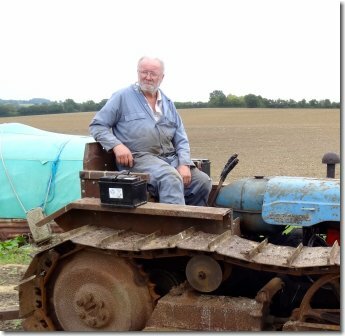 I must explain; if a tractor has a registration number that is not recorded on the DVLA data base and if the owner wishes to retain that number under the V765 scheme there were basically three forms of proof linking the number to the vehicle that were acceptable to the DVLA. An old log book. (Buff or Green), An expired tax disc or insurance certificate (dated 1983 or earlier), If the number is known (eg the plate is still attached), an extract from the original registration record, authenticated by the archivist holding that record. The log book was always the strongest evidence, but the other forms such as a pre 1983 tax disc have been acceptable until recently. I am writing this in mid June when I received a letter from the DVLA saying that an application had been rejected because the documents supplied to them did not link the vehicle to its registration number. My first thought was that I had made a mistake on the paperwork, so out came the file and no errors were apparent. Unusually this letter had a name and 'phone number (most now do not) so I telephoned the case officer hoping to resolve any problem. He explained that he had been given new guidance to follow and unless the VIN number (read chassis/ serial number) is on the tax disc, that form of evidence was no longer acceptable to them. I pointed out that tax discs had never had the VIN number on them they usually had, for example Fordson Major or agricultural machine. Although conceding the point he was adamant that unless the VIN number was stated on the disc it was no longer acceptable. My next question was what proof would now be necessary if submitting a tax disc as evidence. He suggested that a certified extract from the issuing authorities registration record be supplied. I pointed out that many of these did not bear the VIN number and what would the position be then. Although he acknowledged that this was so I received no answer to my question. 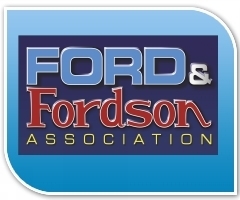 As you know the FFA are members of the Federation of British Historic Vehicle Clubs, who do sterling work on all our behalves and I contacted Ian Edmunds their DVLA liaison officer. 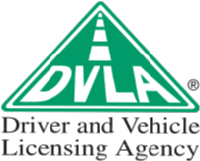 "I have raised this matter with DVLA and their response is that this is not a change of policy, rather it is the correct rules being more consistently applied, particularly now that services are centralised. They stress that there has always been a requirement to provide a link between a specific vehicle and a particular registration number. This link can only be demonstrated by a document which shows both the frame/chassis number and the registration number being claimed. A tax disc does not do this as the vehicle information is generic not specific. Whilst I realise this is not helpful for clubs or individuals seeking to regain registration marks it is entirely logical and consistent with the DVLA policy of ensuring the accuracy of the record. Thus it is not a matter that the Federation feels it can oppose." Although I understand the logic of the decision, I find this very worrying; it is now unclear how the DVLA are going to treat extracts from registration records that do not carry a VIN number. It also makes it impossible for me to give members definitive advice on this point. need from you to help in his quest to register your tractors. Tractor details to include: make, model, serial number, date code, etc. Photographs, these will vary depending on the model but must be clear and legible. Pat asks that you phone him in the first instance so that he can explain exactly what is required and he looks forward to hearing from you. Specialist's in Welding & Custom Fabrications to suit your needs.